Yesterday I finally painted another back alley painting. 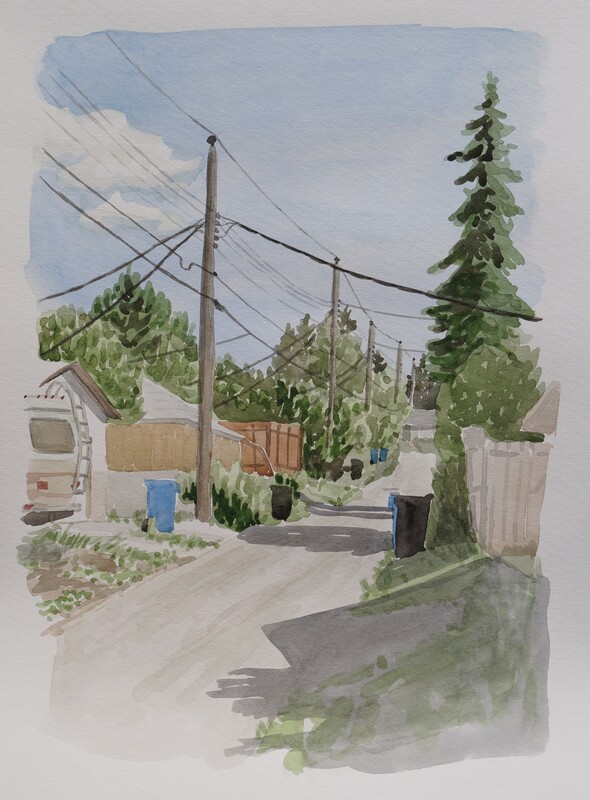 For many days I kept going out to the alley to see if it was a good day to paint it, but it was always in full blazing sun. 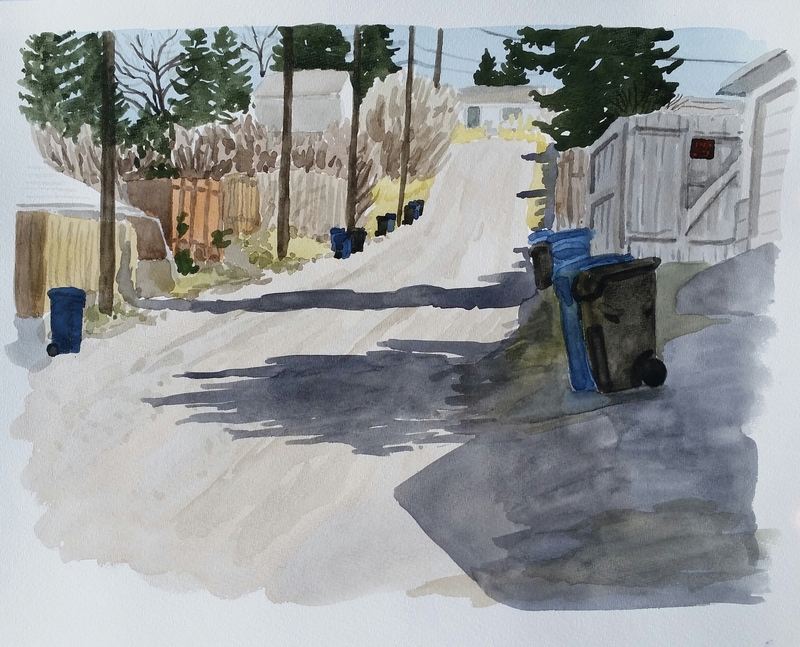 In the springtime I was able to sit in the shade of my fence and paint the alley between noon and 2 pm. Now there is no shade until after 4 pm. So that’s when I went out to do this one and it was a super hot and hazy day so I’m very glad that I waited for shade to sit in. My other alley painting was a horizontal composition and I had meant to get more of the power lines in, but I ran out of room, so this time I did a vertical composition. Here is the spring painting–very different light in the two paintings.